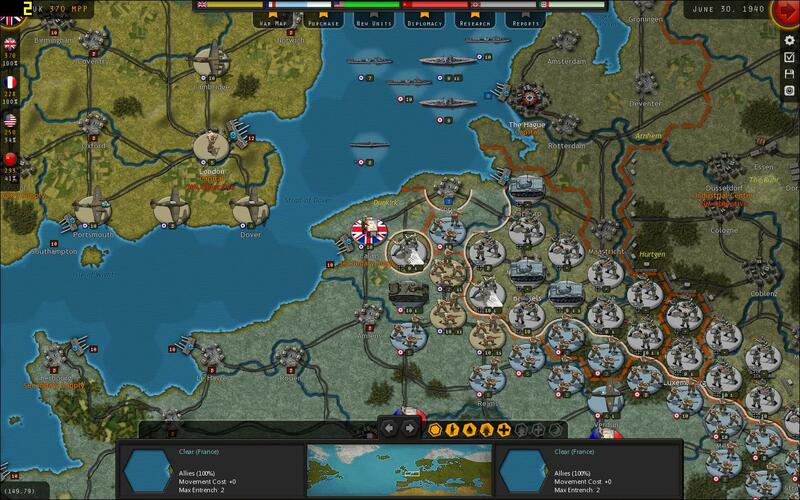 Real and Simulated Wars: Strategic Command WWII War in Europe - Coming Out on 17 November! 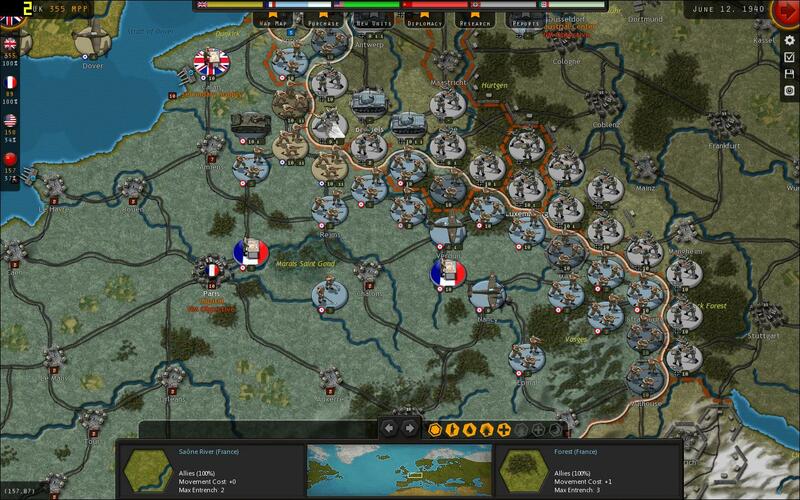 Strategic Command WWII War in Europe - Coming Out on 17 November! After almost 15 years of successful releases of strategic-level war games, Fury Software is getting ready for its latest, Strategic Command WWII War in Europe (SCWiE). 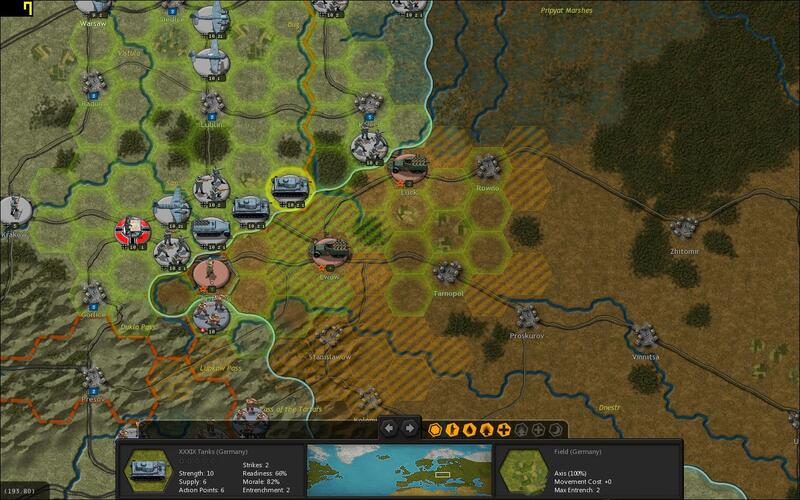 This time under the strategy games publishing powerhouse Slitherine/Matrix Games. 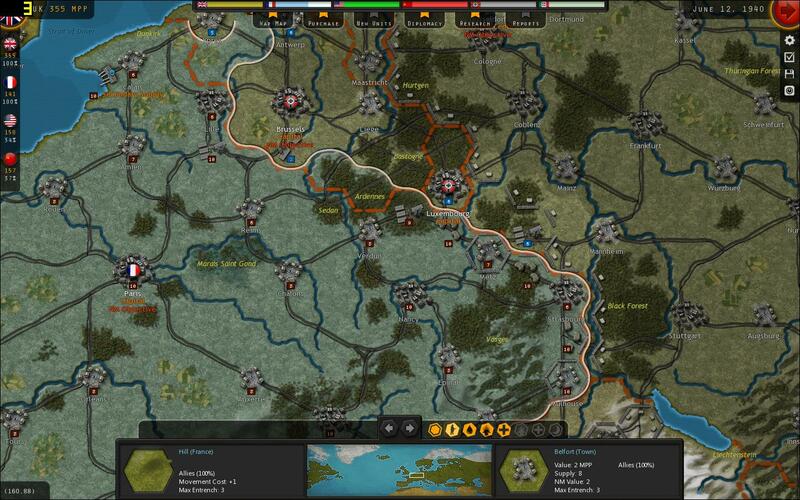 Strategic Command WWII: War in Europe (SCWiE) is a turn/hexes-based strategic level war game in which the player commands the Allies or the Axis. The scale of the land units is at the corps/army level (with some occasional garrison units here and there), naval battle groups, flotillas, fleets and air force squadrons. The core assets of SCWiE are its compact design and its sharp focus. The game is easy to play, but is packed under the hood with combat mechanisms, modable AI routines, randomly triggered events and other goodies that will easily go unnoticed by the un-initiated. I'm no expert in modifying any of the above, but I certainly appreciate the end result of them: a believable, wholesome strategic work out. WWII style! The sharp focus of SCWiE is a trademark of the main game designer. Many strategy-level games out there loose focus when they start creeping features in. As a result of this, the player ends up drowned with minutia that are strategically irrelevant. One example is research, in which many other games put a nation's leader in chief expert scientist or engineer roles . Research and development, as it turns out, is nothing like climbing a technology tree. What is all about is to provide leadership and strategic goals. SCWiE avoids putting you into a research lab or a technology center and instead puts you in charge of the direction, not the route to be taken. 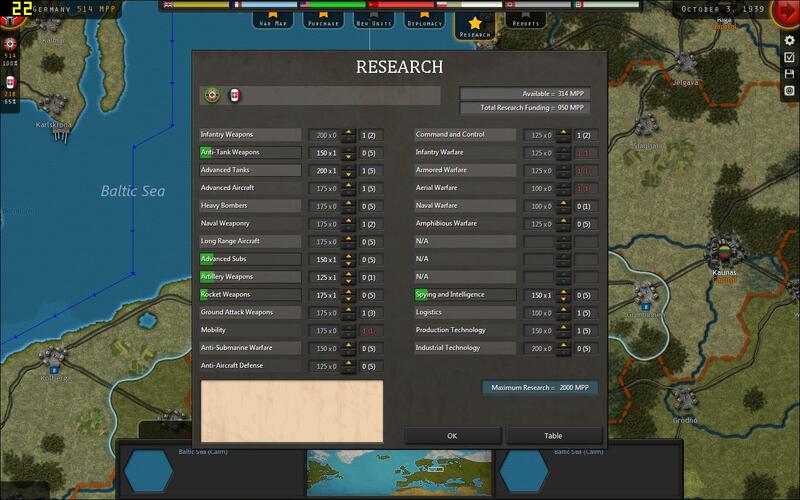 And now that I mentioned the compact design of SCWiE, I want to mention that the computer opponent (the companion of the lonely players like me) can handle nations more effectively than in other strategy level games which have so many variables to deal with. In one game I noticed the German computer opponent making an paratroopers landing behind my defensive lines in northern France (see screenshot below). That landing forced me to move my defenses (French 7th Army and the British Expeditionary Force) back to the Somme river, giving the Germans ample room to maneuver its Armies and Corps. Graphically speaking, the game looks great. 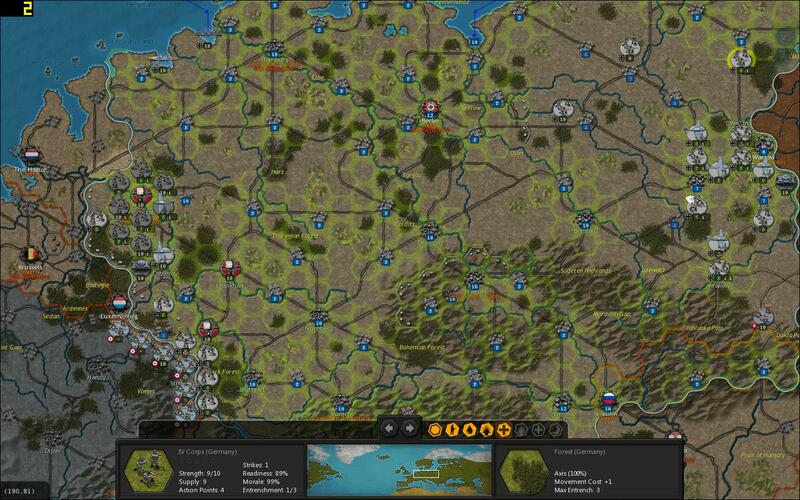 The 3D figurines can be changed for regular NATO counters and the map is clear and pleasant to look at. There is no clutter obscuring the general strategical/operational situation. In the screenshot below, in which I clicked the "do not show units" button, notice how clearly Sedan is shown as an strategic gate that opens France to an invader pushing through the Ardennes. The interface is still not final (almost there), but it is very functional as of the beta version of the game. There are no major issues finding needed data or initiating an action. 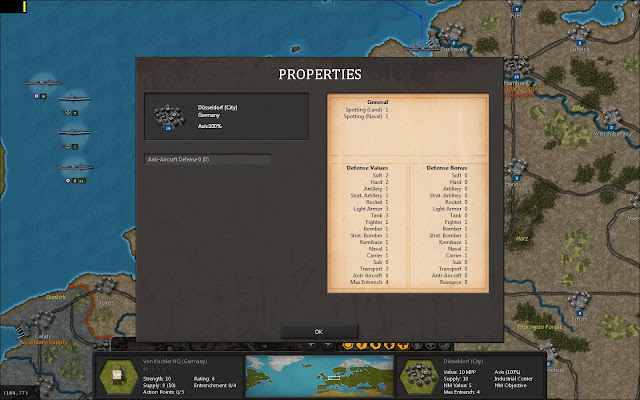 The high level information is available by clicking the main game screen interface (diplomacy, building units, research, etc). If the player right clicks a unit icon, a series of options will become available. The player is encouraged to explore those options, as many of them are critical (relocating an army via train, refitting depleted units, assigning patrol or other roles to air wings, put a naval detachment into a raider role, etc). SCWiE has all it takes to become a new classic in the hard-core military strategy genre and I am looking forward to see its final form in November. 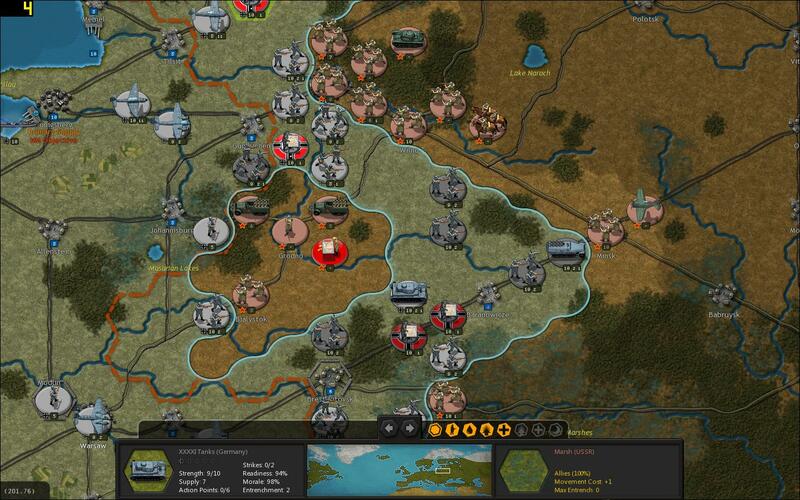 This commentary/screenshots featurette is based in Strategic Command WWII beta. Some game features may be changed in the final release. I apologize for the FRAPS counter in the top left corner. The beta version of the game includes a screen capture hotkey ... But it was too late to redo the screenies after many hours of gaming. Hi JC. I am interested in the game also. How do the counters look? And how does the AI handle air and naval assets? I kind of like the UI, it seems clean enough and not a data dump on your screen. Hi Chris, the counters look good (they are not animated, though) and in my version I can't switch to NATO. Air and Naval handling by the AI is a bit conservative, in my opinion. Sometimes it makes sense. Other times it feels a bit constrained. This game is very lean, in a good way. Hi, just found out your blog, really nice one indeed, and I am looking forward for the new strategic command, the game looks much better with counter, Paradogs in youtube is doing lets play series with counters on. Paradogs' videos are awesome. I can't figure out how to switch to counters ... I will have to find out. I actually have two earlier versions of the game. This version looks like it is combining better aspects of both. The first was hex-based but not graphically too special. The second was not hex-based, which led to less than ideal movement sequences, but it had upgraded graphics. So, hope this is now best the best of both. For me, play-ability and historical-feel are both important, and I have gone back to both versions over the years. If this is indeed the best of both, I recommend it. If you are a real old grognard, I would say this is a good automation of Avalon=Hill's "Rise and Decline of the Third Reich" but with submarine warfare added in. How does the logistics system work. Does it contain any bugs like those found in the game "Gary Grigsby’s War in the East: The German-Soviet War 1941-1945", where somehow there is an infinite supply of your units? In older versions, Supply is calculated each turn. Most obvious impact is being encircled, or having Soviet partisans appear behind German lines. In latter case, supply values per unit will drop, and available reinforcements for units are reduced. It all comes down to how many cities, ports, mines and such each side holds at a point in time; always better to have more than the other side. @David Wright: thank you for the description of the logistics. So it's fair to say simple, but it work predictable and reliable. Draw Your Military Maps with MILSketch!